Yesterday’s news that Brett Cecil, after a terrible spring, has been demoted to Double-A New Hampshire came as a not-unwelcome surprise. Putting him in Toronto’s rotation to start the year would have been bad for everyone, but I really believed that’s what would happen. It’ll be interesting to see how Squints fares in the pitcher-friendly confines of Northeast Delta Dental Stadium as he faces Double-A hitters with stuff that works (to some degree) at the major league level. Maybe success there, if he finds it, will give transfer to the Majors whenever he gets another chance. But if he struggles in New Hampshire, it likely won’t (or, at least, shouldn’t) be the end of Cecil. I doubt any pitcher aspires to being a LOOGY (lefty one-out guy) but they have an important role to play in the modern game. 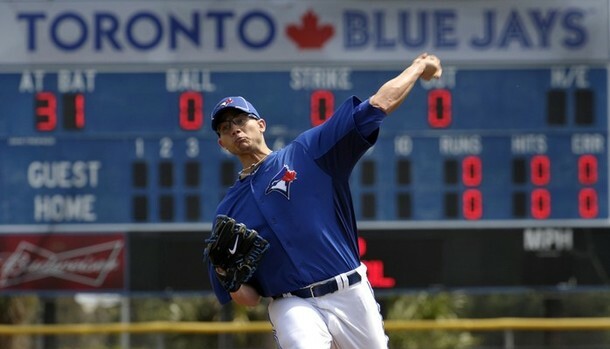 Brett Cecil, if he can’t get it together enough to start again, could be a great LOOGY. Pretty crazy, eh? Even when Cecil’s putting together a season like last year’s that makes everyone doubt his future, he’s still able to hold lefties to pretty anemic numbers.